Lemon was raised in utility player in 1941. He then joined the United States Navy during World War II and returned to the Indians in 1946. That season was the first Lemon would play at the pitcher position. Later that same year, at the age of 17, Lemon began his professional baseball career in the farm system of the Cleveland Indians as a member of the Oswego Netherlands of the Canadian-American League and later that year, the Middle Atlantic League's Springfield Indians. In 75 games with the Netherlands he recorded a .312 batting average. The following season he played 80 games with Springfield, and hit .293, and then joined the New Orleans Pelicans of the Southern Association, where Lemon hit .309. He spent the next two seasons at the Class A level with the Eastern League's Wilkes-Barre Barons as he hit .255 in 1940 and .301 in 1941. In his final stint in the minors, Lemon hit .268 with 21 home runs for the 1942 Baltimore Orioles of the International League. Boudreau discussed the potential move to pitcher with Yankees catcher Bill Dickey, who had also played in the Navy with Lemon. "I knew Lemon had a strong arm, and once I realized he was not going to hit with consistency as an outfielder, I thought it would be worthwhile to look at him as a pitcher," Boudreau later wrote. :p.86 Lemon resisted the idea at first, but he agreed to the change after he learned that his salary could be higher as a pitcher. Lemon credited Indians coach Bill McKechnie with helping him to adjust to his new position. :p.93 Indians pitching coach Mel Harder taught Lemon how to throw a slider, a key pitch in his repertoire. :p.38 That same year, Indians owner Bill Veeck said that Lemon "some day will become the best pitcher in the American League." 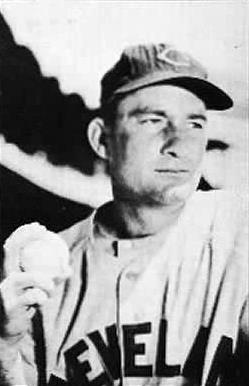 Lemon finished the 1946 season with a losing record (4–5), the only one he would have until 1957, and a career-low 2.49 ERA. He followed up his inaugural season as a pitcher with an 11–5 record. He appeared in 19 games before August, largely as a relief pitcher, but he made his first start in July against the Boston Red Sox. During the last two months of the season, Lemon went 9–3 and pitched six complete games, including two 11-inning outings. In 1954 he was 23–7 and won his third AL Pitcher of the Year Award as Cleveland won the pennant. The Indians set an AL record with 111 wins. (The record stood until major league seasons were lengthened to 162 games, and it has been surpassed twice since then.) Lemon was named Cleveland's starter for game one of the 1954 World Series. After nine innings, the Indians and Giants were tied 2–2. Lemon stayed in the game to pitch the tenth and final inning, but he surrendered a three-run home run to pinch hitter Dusty Rhodes and the Indians lost, 5–2. Indians manager Al Lopez went with Lemon again in the fourth game after only two days rest. "He hasn't worked that close together all year because we had a good bunch of other pitchers, but a year ago, he and Wynn and Garcia pitched every third day for practically a month. Bob will be all right," Lopez said. Lemon and the Indians lost the game, 7–4, as the Giants swept the Series four games to none. In his two appearances, he went 0–2 with a 6.75 ERA, allowed eight walks and recorded 11 strikeouts. ^ a b c Martin, Johnny (April 6, 1951). "My Favorite Big League Ball Player – Bob Lemon". ^ Schipper, Bill (June 18, 1960). "Baseball Knows No Sympathy" (PDF). The Torrance Herald (Torranceca.gov). p. 8. Retrieved September 9, 2012. ^ a b c d e "Bob Lemon Minor League Statistics & History". ^ Bradham, Kelly (June 11, 1978). "Bob Lemon recounts glory years of Tribe". The Nevada Herald. p. 8. Retrieved September 1, 2012. ^ "Bob Lemon 1941 Batting Gamelogs". ^ Dickson, Paul (2012). Bill Veeck: Baseball's Greatest Maverick. New York, NY: Walker Publishing Company. ^ a b c d e f g h i j "Bob Lemon Statistics and History". ^ Moore, Roger (June 14, 1970). "Royals Manager Once A Flop As Major League Outfielder". ^ a b Koppett, Leonard (July 27, 1978). "Bob Lemon: No One Has A Bad Word About Him". ^ a b Feller, Bob; Rocks, Burton (2001). Bob Feller's Little Black Book of Baseball Wisdom. Chicago, IL: Contemporary Books. p. 40. ^ a b Lemon, Bob (July 21, 1956). "Pitching Tips". ^ a b Boudreau, Lou; Schneider, Russell (1993). Lou Boudreau: Covering All the Bases. Chicago, IL: Sagamore Publishing. ^ "Hall of Famer Boudreau Dies". ^ "Rival Deserves Assist on Lemon; Southworth Glad to Leave Home". ^ a b James, Bill; Neyer, Rob (2004). The Neyer/James Guide to Pitchers: An Historical Compendium of Pitching, Pitchers, and Pitches. New York, NY: Fireside. ^ Reichler, Joe (July 1, 1948). "Veeck Prophesied Lemon Would Top League Pitchers". ^ "Bob Lemon 1947 Pitching Gamelogs". ^ "Bob Lemon Signs 1948 Tribe Contract". ^ a b c "Indians recognize team which won 1948 Series". ^ Reichler, Joe (May 26, 1948). "Bob Lemon Sweet Find For Indians". ^ "Bob Lemon Hurls No-Hitter For Indians, Humbles Detroit Team To Record 11th Win". ^ a b "Bob Lemon has a good track record". ^ "1948 Cleveland Indians – Schedule, Box Scores and Splits". ^ "October 1, 1948 Detroit Tigers at Cleveland Indians Play by Play and Box Score". ^ Rhoden, Ralph (October 1, 1948). "Bob Lemon Hurls Today for Tribe; Yanks, Bosox Win". ^ "American League Race Ends In Deadlock For First Time In History". ^ Richman, Milton (April 29, 1976). "Gene Bearden Rather Talk About Songwriting". ^ Richman, Milton (January 22, 1970). "Boudreau Recalls Days Of Action". ^ a b "1948 World Series – Cleveland Indians Over Boston Braves (4–2)". ^ "October 11, 1948 World Series Game 6, Indians at Braves". ^ Richman, Milton (August 7, 1949). "Bob Lemon Is Demon At Plate". ^ Richman, Milton (September 17, 1950). "Bob Lemon Can't Win No. 20 Because He's Just Plain Tired". The Sunday Star (Wilmington, DE). United Press International. p. 24. Retrieved September 2, 2012. ^ "Indians Clip Tigers Behind Lemon, 12 to 2". ^ "Indians To Sign Lemon". ^ Fraley, Oscar (April 7, 1951). "Pitching Power Big Problem In Majors". ^ "Mitchell Booms Pair; Indians Cuff Sox". ^ "1952 American League Pitching Leaders". ^ Phlegar, Ben (May 6, 1954). "Lemon off to good start sixth 20-game season". ^ "American League Team Win Totals". ^ "Indians History Overview: The Glory Years". ^ "Dejected Lopez Puts Faith in Bob Lemon For Fourth Game". ^ "Bob Lemon Pitching Statistics & History". ^ Lundquist, Carl (April 27, 1955). "Lemon Off To Brilliant Start For Cleveland Indians". ^ "Bob Lemon 1955 Pitching Gamelogs". ^ "Bob Lemon Will Be After 200-victory Mark In 1956". ^ "Lemon Wins 200th, Beats Orioles 3 to 1". ^ "Tribe's Lemon Out For Year". ^ "Indians Send Bob Lemon To San Diego". ^ "Bob Lemon 1958 Pitching Gamelogs". ^ "Cleveland Indians Ask For Waivers On Bob Lemon". ^ "Bob Lemon Announces Retirement: Young Fellows Just Too Fast". ^ a b c d e f g h i Gallagher, Mark (2003). Susan M. McKinney, ed. The Yankees Encyclopedia (Sixth ed.). Champaign, IL: Sports Publishing. ^ Williams, Ted; Underwood, John (June 17, 1968). "Smooth and Stormy Seasons – Part 2: Hitting Was My Life". ^ "Fame renews ink of premier pitchers Lemon and Roberts". ^ "Bob Lemon's Mom Can Die Happy". ^ "Roberts, Lemon All-Star Captains". ^ "1966 Pacific Coast League season". ^ "Bob Lemon Honored as Manager of Year". ^ "Bob Lemon Makes Good Boss". ^ Blount, Jr., Roy (June 22, 1970). "Tale of the Derailed Metro". ^ "Metro Fired, Lemon Named". ^ "KC Royals Rehire Lemon". ^ "Ex-Expo Williams named AL Manager of Year". ^ Moore, Roger (March 21, 1972). "Lemon high On Royals Outlook". ^ "Lemon fired, McKeon gets job". ^ "McKeon Named To Guide Royals". ^ "'"Royals Blast Firing Of 'Super Manager. ^ a b "White Sox Name Lemon Manager". ^ "1976 Chicago White Sox". ^ "Chicago's Bob Lemon predicts surprises". ^ Gammons, Peter (May 16, 1977). "Old Uniforms, New Sox". ^ "Chicago's Bob Lemon named AL's top manager". ^ "Veeck Hopes Doby Is No Lemon". ^ Madden, Bill (October 10, 1978). "Bob Lemon Still In A Daze About NY's Great Comeback". ^ Goldstein, Richard (January 13, 2000). "Bob Lemon, 79, a Hall of Fame pitcher, Dies". ^ "Bob Lemon Is AL Manager Of The Year". ^ a b Richman, Milton (June 19, 1981). "As usual, Lemon goes gracefully". ^ "Lemon May Manage Cleveland Indians". Frederick Daily Leader. United Press International. July 1, 1979. p. 1B. Retrieved September 7, 2012. ^ "Bob Lemon Named Yankees' Manager". ^ a b Wulf, Steve (May 10, 1982). "This Time George Went Overboard". ^ a b c d e "Bob Lemon". Baseball Reference. Sports Reference. Retrieved September 24, 2015. Lemon suffered a stroke in his later years. Lemon died in 2000 in Long Beach, California, where he had been a permanent resident since his career as a player. Former teammate Bob Feller said, "Bob had a good curve, a good slider, and a vicious sinker pitch. He wasn't overly fast, but he always stayed ahead of the hitters and he didn't walk many batters, which is the key to success in the majors. When Bob passed away in 2000, it saddened me deeply." Lemon's 26-year-old son, Jerry, was killed in an automobile accident in the fall of 1978, 10 days after Lemon won the  The Yankees finished in fourth place in the AL East (89–71). :p.292 Lemon worked as a scout for the Yankees and received "several offers" from other teams to serve as manager. :p.295 One offer came in 1979 from the Indians, but Lemon refused it as well as the others. Lemon was fired the following season on June 30, 1978, by Veeck after Chicago posted a 34–40 record in the first half of the 1978 season. He was replaced by former Indians' teammate Larry Doby. "This change is not meant as any commentary on Lemon's ability but rather was the result of unusual circumstances which seemed to make a change necessary," said Veeck. Bill Veeck hired Lemon to succeed Paul Richards as the Chicago White Sox manager on November 16, 1976. Lemon took over a Chicago team that finished in last place in the AL West in 1976. "Bob is the type of manager we need at this stage of the game," Veeck said. During spring training of 1977, Lemon said, "I think we'll surprise a few people." White Sox shortstop Alan Bannister quickly noticed a difference. Comparing Richards to Lemon, Bannister said, "He'd post the lineups 10 minutes before the game, and only then we'd find out who was playing and where. Lemon's made it a serious operation." As late as August 14, the White Sox were in first place in the AL West. The White Sox finished with a 90–72 record, a 26-game improvement. The team finished third in AL West and Lemon won his second Manager of the Year Award. "The fans got behind us after about three weeks. They had a lot to do with our success," Lemon said after being winning the award. In 1971, Lemon guided the Royals to their first winning season since the franchise began as an expansion team in 1969. Lemon finished second in the Associated Press AL Manager of the Year voting. Before the 1972 season, Lemon talked about the team's chances, saying "Five clubs could win it, including ourselves." However, the Royals finished 76–78 in Lemon's last year with the club. Royals owner Ewing Kauffman fired Lemon as manager and stated that he wanted a younger person to fill the position and "did not want to lose Jack McKeon," who was named as Lemon's replacement. Royals outfielder Lou Piniella was one of several players who disagreed with Kauffman's decision, saying, "...Lemon deserved to manage the club next year." In 1959, Lemon became a scout for Cleveland. The next season he became a coach with the Indians. In 1961, he joined the All-Star Game.